As we are nearing the end of the month of January, there's only one thing on everyone’s mind: Spring Break! I'm looking forward to the warmer weather and enjoying a relaxing week off school. Speaking of warmer weather and school breaks, Summer is right around the corner (in about 4 months...) and I had the BEST summer in 2017! 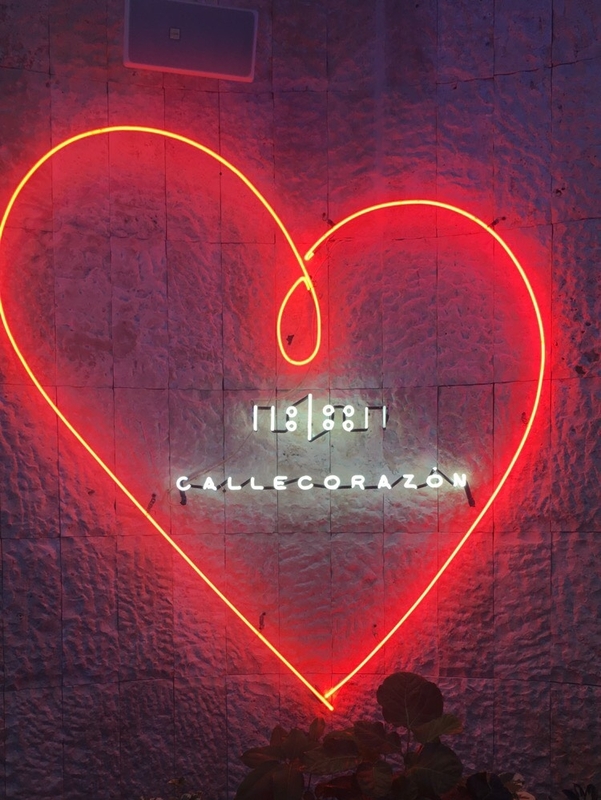 I was fortunate enough to be able to go on the best trip I've ever been on; I spent two weeks in Mexico surrounded by my family, my best friend, and lots of new friends! What more could a girl ask for? Let's start off at the beginning. It was an early morning spent flying to Cancun with my family. We then migrated to Dreams Rivera Resort, and my breath was immediately taken away by how beautiful it was! I spent a week there with my family and we had a blast! We spent our days swimming, playing volleyball, snorkeling among the Coral Reef, swimming with dolphins, and eating delicious food. Staying at Dreams Resort was a dream! I bet you're wondering, "What did you do for the second week of your trip?" For Julie's 15th birthday, she decided to take a trip to Mexico! Julie and her mom, Gladys, met my family and I at Dreams. 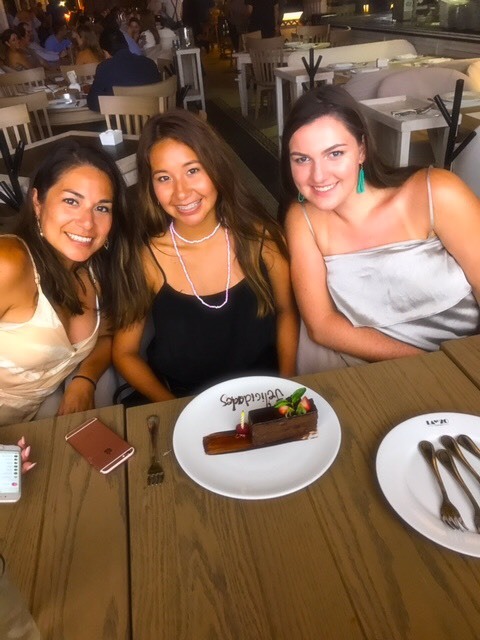 From Cancun, we traveled to Playa del Carmen and stayed in the Quinta Clara; Many thanks to Juan and Clara Beth for their hospitality! Playa del Carmen was extremely beautiful! The water was super blue, and I had so much fun shopping at the local vendors and enjoying the beach with Julie, Gladys, and Clara Beth. 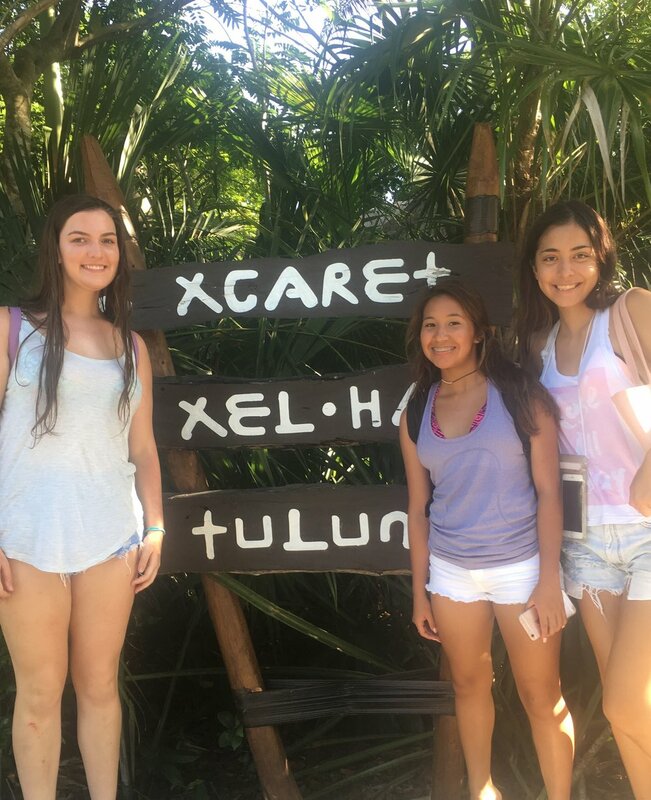 As well as shopping and swimming, Julie, Gladys, and I also loved exploring Xcaret and Xplor. Xplor was super cool! It was located at a cave underground. While at Xplor, I challenged my adventurous side by ziplining over the jungle, rafting on an underground river, and then swimming with bats underground in the cave. Xcaret was fascinating! The eco-archaeological park was located on sacred Mayan ruins. I loved looking at the exotic animals, playing on a ropes course, and snorkeling with tons of colorful fish. We traveled to two more parts of Mexico during our trip together. We spent a day in Tulum as well as the island of Bacalar. Tulum is such a gorgeous, bohemian town! On the trip to Tulum, we stopped to snorkel in a cave. It was so cool! In Tulum, Julie and I had so much fun enjoying the beach and shopping at the local vendors. Everything in Tulum was very unique, and once again, very bohemian! Going to Bacalar was probably my favorite part of the trip. We traveled by boat, and when I tell you nothing tops the sea-breeze and the ocean spray going through your hair, I seriously mean it! I enjoyed being on the boat, snorkeling (I really love snorkeling! ), sun bathing, and enjoying the picture-perfect view of the island. Bacalar has the bluest water I've ever seen in my life! Going to Mexico and spending those amazing, yet not long enough two weeks was a dream come true. Thank you so much to my awesome parents, to the wonderful Julie and Gladys, and of course, the incredible Clara Beth and Juan. I love you all so much and can't thank you enough for the trip I'll never forget!